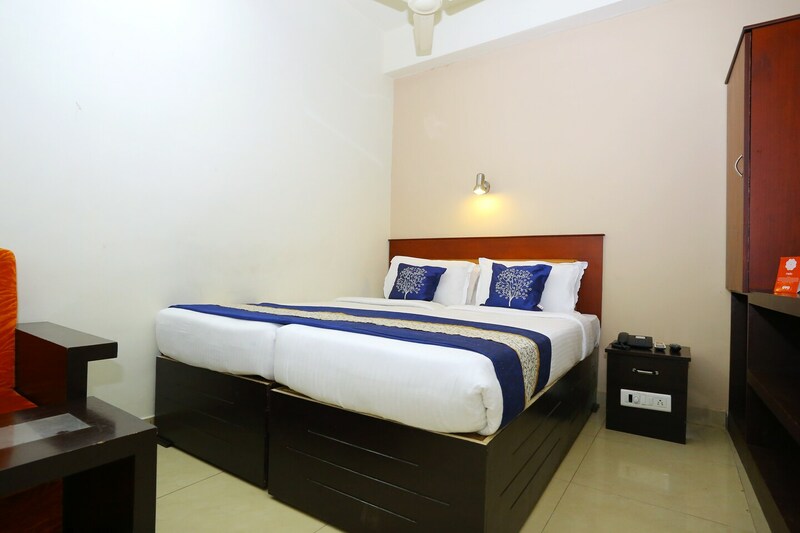 Centrally located in the city and providing comfortable lodging, Thamburu International Hotel is a place that brings convenience and affordability together. The rooms are bright and warm and have comfortable furnishing and amenities for a pleasant stay. The lobby is beautifuly decorated with wooden decor and traditional aesthetics. The hotel offers free WiFi for guests to stay connected. Located in a prime area gives you ease of travel to check out local attractions. The Valiathura Beach and Kerala Secretariat are some of the must-visit sites where guests can reach with much ease. With a luxurious ambiance, warm hospitality and top-notch facilities, be assured of a memorable stay here.